Yunnan Province is one of China’s most complex regions. Its geography is rugged. Its peoples are diverse in ethnicity and language. Its wildlife the most diverse in the country. The province has long been an important crossroads in travelers’ journeys between China and southeast Asia. Today, it has also become the ideal place for adventurous outdoor endeavors. With walls of sandstone, limestone, and granite, snow capped peaks soaring to 6800 meters, and forested ridge lines crisscrossing the entire province, Yunnan has endless hidden adventures. You just need to know where to look! Book your next adventure with us to catch a glimpse of China that few visitors rarely see. Traveling across the Pacific deep into a foreign country can be daunting. Our goal is to make your trip as seamless as possible. We take care of you from the minute you land to the minute you head home. All-inclusive trips: when you land at your final destination in China, your trip starts. 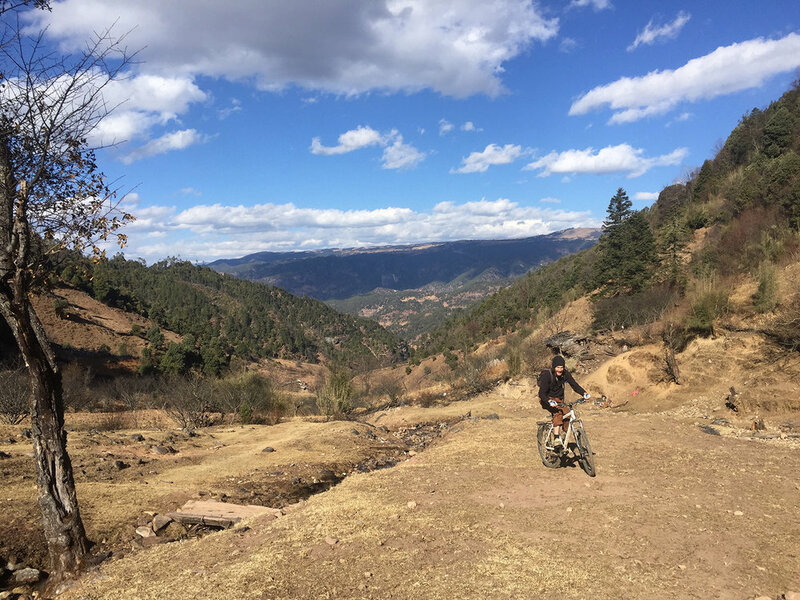 Your trip fee includes everything to keep you comfortable on a trip into the mountains of Yunnan: ground transport, lodging, meals, tickets, bike rentals, and guiding services are all included. Local knowledge: ICC’s instructors have lived in the mountains of Yunnan for years. We know the where the good climbing is, where the good bike trails are, and where you can find a decent beer at the end of a long day in the hills. Insider perks: Get off the beaten path often taken by travelers. We have our own private transport, which means we can venture to areas seldom seen by people visiting China. High-quality instruction: ICC’s instructors have worked in the outdoor industry for 10 years, training with internationally recognized organizations, including the Wilderness Medical Training Center and the American Mountain Guides Association. Visa help: The visa process can be daunting to face on your own. But don’t worry! We have been through the process, too. We can advise you on the best and fastest resources to obtain your visa prior to your trip. Email: itinerantclimberscollective@gmail.com or go to our CONTACTS page to get in touch. 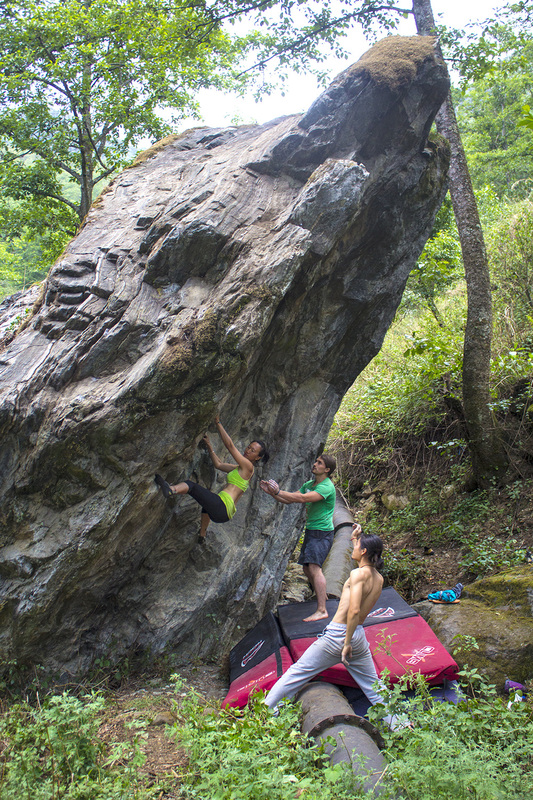 Shigu is one of Yunnan’s most beautiful sport climbing destinations, nestled in a narrow valley with towering limestone mountains on either side. It is divided by a 3300 meter (10000 feet) mountain pass from Liming, China’s crack and trad climbing Mecca. In normal times, you have to take a long, winding path around the mountains by car to join the two, but we have found way through the short way! 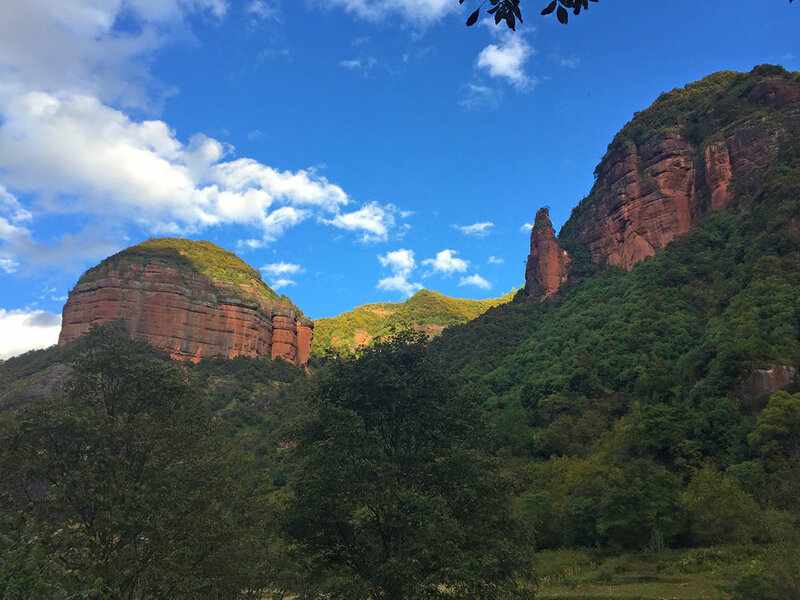 Some adventurous biking over trails traveled by local Lisu shepherds will carry you over the pass, giving you a commanding view of the enormous sandstone walls of Liming from high on the mountain. You will even get to coast downhill for 15 kilometers on a wild mountain road. there may even be a place to stop for a beer in between! You will see landscapes that will make you wonder weather you are still in China: towering mountains, lush pine forests, and local peoples who are more closely related to the people from nearby Myanmar. Catch a glimpse of the stories behind what made Liming such an incredible destination to climb! All-inclusive trip: When you get to your final destination, we take care of the rest. Your trip fare covers everything you need to enjoy the mountains of Yunnan. Lodging, meals, bike rental, ground transportation, and instruction are all included! Private transport: Once you land at Lijiang, your final destination, you will be delivered to all your destinations in private transport. No more worrying about haggling for cab fares. All you have to do is load your pack into our van and you are ready for adventure. All you have to worry about is what wall you want to climb next! Authentic experiences: This is a part of China you have likely never seen. No big metropolis. No neon lights. In fact, where we travel affords you views of the Milky Way in HD. You will also meet locals who live very differently from the big, urbanized eastern part of China. Traditional architecture still thrives, old ways of life live on, and the pace of life is slower than what you will find in Beijing or Shanghai. Bilingual instructors: Your instructors will help you navigate this new world in the mountains. Our instructors speak both English and Mandarin. Local Knowledge: All of your instructors live and climb here. This is our home, and we want to share it with people who appreciate a proper adventure!